Brian Koppelman has spent a lifetime in the entertainment industry. The son of record executive Charles Koppelman, he got his start as an A&R representative for labels like SBK and EMI. (He is credited with discovering fellow Tufts University student Tracy Chapman while still a college student.) A revelation later in his life brought him to his real passion: screenwriting. In the last 20 years, he has written, directed, or produced a dozen films, including Ocean's Thirteen and Rounders. His latest success is the Showtime drama series Billions, which he leads as co-creator, showrunner, and executive producer. The show follows U.S. District Attorney Chuck Rhoades's relentless investigation of shady hedge fund manager Bobby Axelrod. 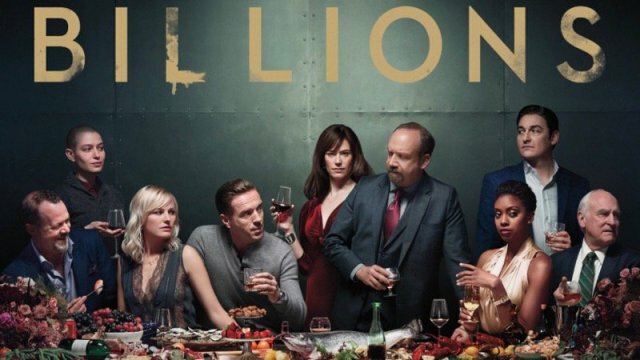 Billions allows Koppelman to indulge his inner music obsessive while tackling topics like class, power, gender and sexuality, and corruption. Earlier this week the music label EMI agreed to drop Digital Rights Management (DRM) restrictions from its digital music files. In addition, the files will be of a higher quality than those available now. Essentially this means that consumers who purchase EMI tracks from bands like The Arctic Monkeys, Beyoncé, and Nelly Furtado can play them on any player, regardless of where they purchased it. But, there is a catch: these digital songs will be almost 30% more expensive. EMI's announcement seems to be a response to a plea that Apple head Steve Jobs made earlier this year for all record companies to remove DRM from their digital music. And while these songs will be available for purchase and download from all online retailers, it's interesting to note how much Jobs is thrusting himself into the music industry. In fact, he was posed right next to EMI chief Eric Nicoli for this announcement. This week American and European regulators gave their official blessing to the merger of Universal Music Group and EMI. The big four major labels are now down to three. So what could go wrong with one company controlling more than forty percent of the music market? According to Greg, a lot. Take a streaming service like Spotify: for Spotify to launch, the company had to obtain licensing deals for its music from the majors. With so much of the world's music now in UMG's hands, Greg predicts it's going to be a lot tougher for tomorrow's Spotifys and Pandoras to get into business. He sums it up: big tech and big labels 1, the little guy, 0. Are you one of the three remaining people on earth who haven't seen Psy's "Gangnam Style" video? Better get hip fast. The South Korean rapper just broke the Guinness Book of World Records' entry for most YouTube likes (2.2 million). Back in June Sound Opinions prophesied that K-pop - Korean pop music - was poised to make a big splash in the States. But even Jim admits he never thought the genre's breakout star would be a rotund rapper singing about a posh Seoul neighborhood. The Payola investigation conducted by New York Attorney General Eliot Spitzer is making some headway. Universal Music Group, the world's biggest music company, has agreed to pay $12 million to settle accusations that its executives paid radio programmers to play certain songs. This is the largest settlement of its kind. Warner Music Group and Sony BMG made similar deals last year, and Mr. Spitzer is still in the process of investigating EMI, as well as radio companies like Clear Channel and CBS Radio. And, as we heard a couple of weeks ago, the FCC is conducting a similar inquiry. As always, Sound Opinions H.Q. will keep you posted. Another story in the news this week suggests that record company lawyers won't be taking a break any time soon. All four of the major record labels have just launched a lawsuit against XM Satellite Radio. Universal, Sony BMG, Warner and EMI all claim that a new XM device called the "Inno" violates music copyright law by allowing people to not only listen to satellite radio, but record it. Therefore, according to the labels, XM has become a digital retailer, like iTunes, and should be required to pay similar fees. It's yet another example of the recording industry scorning new technology rather than embracing it. Guns N' Roses frontman Axl Rose is also making news, though Jim and Greg are wondering why. The buzz is that his long-awaited album Chinese Democracy is forthcoming — but our hosts are skeptical. Rose has been saying that he's on the brink of finishing for years (15 to be exact), and in the process he's become one of the long-running jokes in the music industry. But fans can take solace in the fact that the singer recently performed some Chinese Democracy tracks in New York. A good sign indeed. First up in the news is Amazon.com's announcement that it will create a digital music store. What makes their service distinctive from iTunes is that its songs will be free of Digital Rights Management restrictions. The EMI record label has also agreed to offer iTunes DRM-free tracks; however the Apple store will offer them at a higher price. If Amazon's tracks are a more reasonable price, it's possible the online mega-store will be able to compete. But, just possible. Jim and Greg start off the show with some good music industry news. The Internet music service Pandora has reported its first profitable quarter since launching a decade ago. Pandora seemed to be on the path of many Internet startups of the early 2000s, but now it boasts about 48 million users and projected earning of $100 million for 2010. To this we say Mazel Tov. 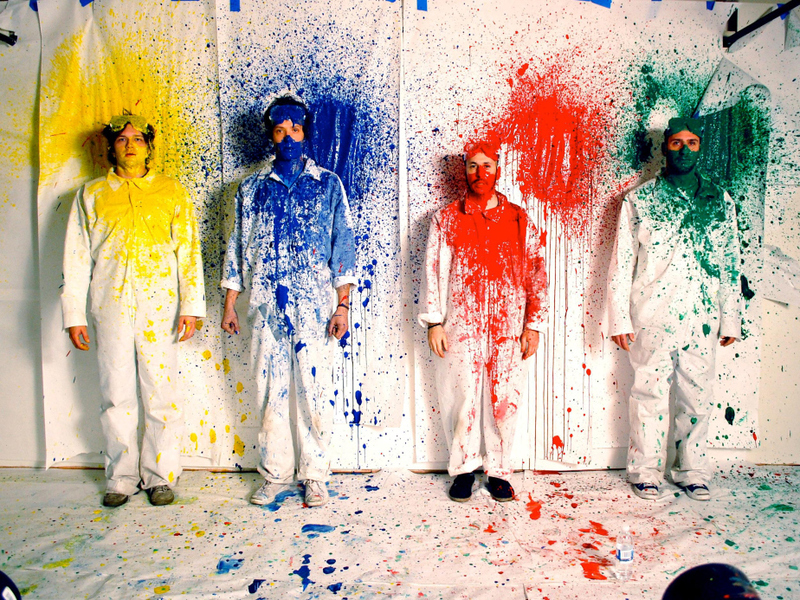 OK Go has been making a lot of news recently. First, after some debates with their label EMI, they released a free, embeddable video for their new song "This Too Shall Pass." This is a follow-up to the famous 2006 treadmills video for "Here It Goes Again," which has been viewed over 50 million times. The band's lead singer Damian Kulash discussed his philosophy on viral videos in an op-edin the New York Times. And just last week the band revealed that it had split from EMI to form a new label Paracadute. Prior to this announcement Jim and Greg spoke to Kulash about going viral, labels and going rogue. Everyone's got their heads in the clouds these days. Google has followed in the footsteps of fellow internet giant Amazon to launch a cloud-based music locker called Music Beta. It offers consumers more storage, but that's where the applause seems to end. Industry watchers had been anticipating a revolutionary service that would incorporate a store with a digital locker and be able to compete with iTunes. But, the record labels squelched those dreams. Jim and Greg are interested to see how the labels react, and most of all, they've got their eye on the big player in the game: Apple. In other industry news, Warner Music Group is changing hands. In a $3 billion deal, the music label was sold to Access Industries. There's also speculation that Access will purchase EMI and merge the two, bringing the major record label count from 4 to 3. While the giants are shrinking, new alternative music industry players pop up every day. The most recent label launch of note comes from Glee music producer Adam Anders. Before you scoff, Greg reminds us that Glee has produced more than a 100 Billboard hits. His first act, Shane Harper, isn't flying off the shelves, but Anders is more interested in artist development — two words that Jim and Greg are encouraged to hear. Just when libraries were losing their“cool”rep, the Library of Congress has created a Jukebox full of historic recordings. Its new website gives people access to 10,000 recorded songs, speeches, poems and more from the first part of the 20th century. Once in awhile it's nice to hear news about fans getting more, not less, access to music. After 31 years at EMI, The Rolling Stones have moved over to Universal Music. The label is boasting about its acquisition, but Jim and Greg wonder if the Stones are such a catch after all. As a“heritage artist”they surely bring rock-cred to any company, but as former Chicago rock critic and NPR arts editor Bill Wyman points out, EMI only sold about a million Stones albums a year, which is about as much as a single Eagles album alone sold. A million records is certainly nothing to sneeze at, but it may not warrant the expense of housing such a band. In other Stones news… Abkco Music Inc., the publishing company that owns the right to the British band's song "Play With Fire," is suing rapper Lil Wayne for what it claims was an unauthorized release of an altered version of the song. Lil Wayne's new track "Playing With Fire," does not list any samples in its credits, but Abkco believes the song is clearly derivative. You be the judge. While it holds a place in the hearts of a generation of music fans, the cassette tape has almost gone the way of the 8-track. The New York Times recently published what is essentially an obituary of the cassette, pointing out the one area the technology still thrived was the audiobook industry. But now, even books on tape are being dumped. 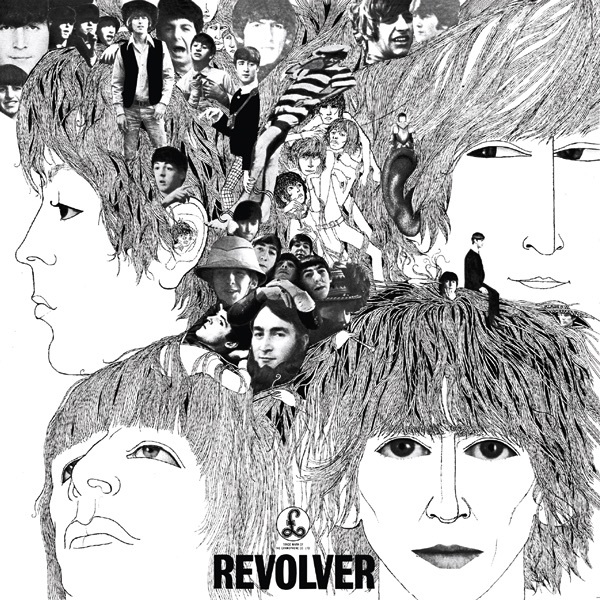 Add this to the fact that none of Billboard's Top 10 albums last week were issued on cassette, and it seems time to say goodbye to our dear friend. Lady Gaga, "Sound of Music Medley (Live at the 87th Academy Awards)"